As a charity law partner with Miller Thomson LLP in Toronto, Robert Hayhoe advises and represents charities and not-for- profit organizations on a national and international basis. International structuring for social impact is a topic that Robert frequently addresses. In this guest post, Robert answers six of the most commonly asked questions about international structuring for social impact. How are Canadian charities that do international work structured typically? The Canadian charity has to receive reports on its funded activities and keep records on them in Canada. With these limitations in mind, Canadian charities fund foreign activities by hiring employees or covering volunteer expenses, appointing foreign agents (often foreign charities), hiring foreign contractors (sometimes foreign charities), entering into joint ventures with foreign charities, or by purchasing goods that are by nature charitable and giving them to a foreign charity for use or distribution. Canadian charities that are part of international networks must be careful to ensure that they are seen to maintain enough independence in their governance to allow them to prove that they direct and control their own activities. How can charities restructure themselves to increase their social impact, locally, nationally and internationally? I believe that Canadian charities should first decide how they would organize themselves absent Canadian tax law and only then try to apply Canadian tax law. As lawyers, we have informed views on structure but we are only advisors. Our real job is to advise our clients in ways that help them meet their goals. What common concerns does the CRA have with respect to charities doing international work? The CRA worries that Canadian charities are being used simply as conduits to allow Canadian charity funds to be transferred to foreign charities, or even to individuals connected to those charities. In some contexts (not generally ones involving the members of the Canadian Council of Christian Charities), the CRA worries that Canadian charities are being used as fronts for terrorism funding. Our experience is that almost all international structures can be run in a manner consistent with the Canadian tax rules. At the same time, all international structures can be run in a way that is inconsistent with the Canadian tax rules. Our advice is that having devised a funding and activities approach that complies with the tax rules, the charity must follow it. Having taken advice on a structure, a charity that does not follow it will be viewed by CRA as having decided wilfully to ignore its tax obligations. As a process, we ask our clients how they would like to organize their international activities, funding and relationships absent Canadian tax law. Once we understand a charity’s goals, we are then in a position to give advice that best accomplishes the goals. What is an “intermediary,” and what do Canadian charities need to know about them? The CRA speaks about “intermediaries” as short hand for foreign entities that are hired in one of the ways described earlier. Canadian charities need to keep in mind the need to not simply give money to intermediaries, but to instead adopt intermediaries’ charitable activities. We hear the term often, but is there really such a thing as an “international charity”? Other than UN entities like UNICEF, there is no such thing as a real international charity that can accept Canadian donations. Tax rules in almost all jurisdictions restrict tax recognition of donations to gifts to domestically incorporated and registered charities. Charities that we sometimes think about as international are really combinations of separate charities from each country in which funds are raised and from many countries in which programs are carried out. In many countries, these separate charities are able to be controlled tightly by a central charity in some other country. The Canadian rules do not permit this. Canadian tax law requires a much greater degree of independence from its charities than do virtually any other developed country. Canadian charities that are part of international networks (that may see themselves as an international charity) are often outliers that cause headaches for the rest of the charities in their networks. However, our experience is that it is almost always possible to fit a desired governance and funding model into the Canadian rules in a way that does not destroy the desired model. 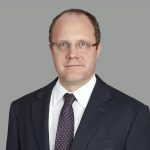 Robert Hayhoe is a charity law partner with Miller Thomson LLP in Toronto, advising and representing charities and not-for- profit organizations on a national and international basis. He is recognized by Lexpert and Best Lawyers as a leading Canadian Charity and Not-for- Profit law practitioner. Robert is the co-author of Charities Taxation, Policy and Practise and a frequent presenter.